As the trees and bushes that have lost their luster during the winter months begin to grow and flourish, March makes way for warmer weather and sunny days ahead! But did you know not all things are a “bed of roses” as we march into spring? Springtime also ushers in seasonal driving challenges such as; like wet pavement, motorcyclists, and active animals who’ve emerged from their winter shelters. Secaucus Auto Body wants to ensure your springtime commute remains a safe one. 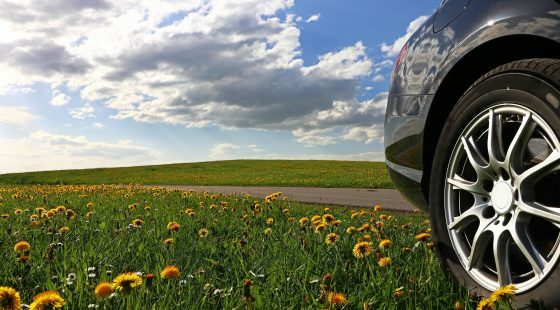 Check out the top 5 things that may affect your spring drive. Not only do we get a little sluggish during the winter months, many animals reduce their activity as well. With spring now among us, so are animals that have been resting all winter. Be sure to keep your eyes on the road for our furry friends as they may dart out in front of you without warning. One of the first signs of spring is the uptick in motorcycle traffic. Many motorcyclists have been counting down the days until the weather would permit them to take their bikes for a spin. Always give motorcyclists plenty of room when you pass and stay back from motorcycles at least one car length per 10 mph while operating your vehicle. Winter often wreaks havoc on or roadways with the use of snowplows, road salt and chemicals to treat icy conditions. The combination can create potholes that may damage your vehicle. Driving over large potholes can cause serious damage to your tires, steering and suspension. Be sure to slow down when approaching large puddles on the road and avoid potholes and chunks of broken pavement whenever possible. Rainfall often accompanies spring. March through July, New Jersey will receive on average more than 4” of rainfall per month with precipitation likely 11 days each month, higher than all other months of the year. High precipitation brings wet pavement and slicker driving conditions. According to the Federal Highway Administration, nearly half of all weather-related accidents occur while it’s raining. Make sure your tires have adequate tread, turn on your headlights, and reduce your speed during wet conditions to increase your safety. Here’s one for you – allergy medication. Millions of people suffer from seasonal allergies with springtime being the most frequent time of onset. To treat allergy symptoms there are many over-the-counter medications and prescriptions available. Unfortunately, not always without a cost. Be sure to check the label to see if any medication you may be taking induces drowsiness, which may place you at risk when behind the wheel. All of us at Secaucus Auto Body wish you and your family safe travels this Spring!